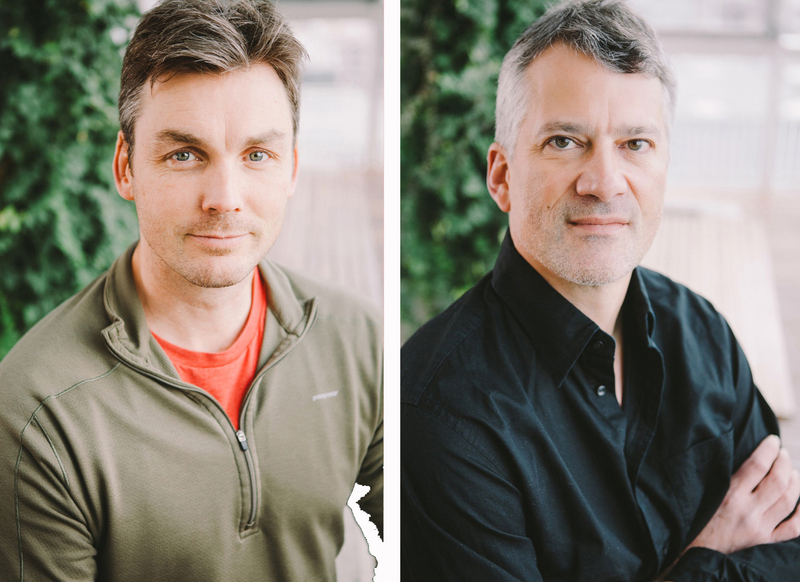 Professors Jason Moffat and Charlie Boone won $2.7 million from government and industry to develop technology for smart cancer drug discovery. Jason Moffat and Charlie Boone are working to develop better cancer treatments that won’t swamp patients in toxic side effects. Moffat and Boone, also a professor in the Donnelly Centre and Mogen, have set up a drug discovery pipeline called Absyn to identify and target genetic changes unique to cancer cells—cancer’s Achilles’ heel—for which they won $2.7million in Genome Canada's Disruptive Innovation in Genomics competition. Four teams in the Donnelly Centre have won almost $9 million in research funding to develop technologies for drug discovery and genome-based diagnostics. The funding comes from the total $56 million awarded to Canadian researchers by Genome Canada, provincial governments and industry partners, it was announced by Science Minister Kirsty Duncan earlier this week. Most cancer treatments take 15 years and $1 billion to develop. But cancer moves much faster than that, morphing into new forms that resist treatment, sometimes in real time. Based on a technology that uses the gene editing tool CRISPR for finding cancer’s weak points, previously developed by Moffat’s lab, Absyn would shave many years off the time it takes to develop a drug ready to test on people. Read more in The Atlantic about how Moffat’s research is uncovering cancer’s weak spots. Absyn combines antibody technology with the concept of “synthetic lethality”, in which two genes that compensate for each other are targeted simultaneously by drugs to trigger cell death. The two-hit approach is a more selective way of eliminating cancer while leaving healthy tissue unharmed. And it’s harder for cancer to evolve resistance to combination therapy than it is for individual drugs. Boone also won close to $1 million in Genome Canada's Bioinformatics and Computational Biology competition to develop BridGE-SGA, a computational platform for uncovering genetic interactions relevant to disease, in collaboration with Chad Myers, of the University of Minnesota-Twin Cities. Aaron Wheeler, a professor in the Donnelly Centre and Department of Chemistry, received $3million to develop a new tool for quick and safe prenatal diagnostics. Current approaches are invasive and can lead to miscarriage while data analysis can take weeks to complete. Wheeler’s new method combines a safe way of isolating fetal cells, developed by collaborating physicians at the Sinai Health System, with the team’s lab-on-a-chip technology for a fast and accurate detection of genetic abnormalities in the fetus. Learn more about Wheeler's work to develop safe, inexpensive and non-invasive prenatal diagnostic test. Igor Stagljar, a professor in the Donnelly Centre and Department of Biochemistry, received a $2.2 million funding boost to commercialize SIMPL, a method for detecting protein interactions in cells and which stands for split intein-mediated protein ligation. SIMPL has the potential to identify protein interactions that go awry in cancer which can then be targeted with chemicals to find new therapeutics.